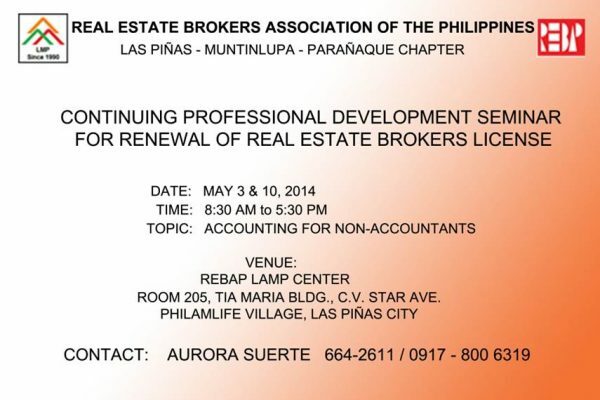 The Real Estate Brokers Association of the Philippines (REBAP) Las Pinas, Muntinlupa, Paranaque (LMP) Chapter shall be conducting 2014 Continuing Professional Development (CPD) Seminars on May 3 and 10, 2014 (both Saturdays). For those whose licenses will already be expiring soon, these schedules are perfect since the seminars will be happening already this Saturday and next Saturday. The topic will be “Accounting for Non-Accountants,” with special emphasis on areas of accounting which real estate service practitioners need to know. 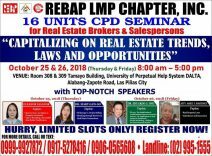 The speaker will be Mr. Roland Angeles, a highly-regarded CPD speaker with more than two decades of experience in real estate. He is also a Certified Public Accountant (CPA) with a Masters in Business Administration (MBA) degree. Registration will start at 8:00 am, while the seminar proper will be from 8:30 am to 5:30 pm. The fee is P3,000 for the two Saturdays (P2,700 if you are a member of REBAP-LMP). Lunch will be provided. The venue will be at the REBAP-LMP Office at the REBAP-LMP Center, 2nd Flr. Tia Maria Bldg. C.V. Starr Ave. Philamlife Village, Las Pinas City. Our venue’s capacity very limited, only around 50 participants maximum can fit in, so I strongly suggest that you reserve a slot already if you are interested to attend. One Saturday session will have eight (8) CPD credit units, so if you attend two Saturday sessions, you will have sixteen (16) units. 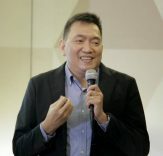 I believe that the Professional Regulation Commission (PRC) issued a directive that the maximum number of hours for each seminar day will be only eight (8) hours, hence the reduction in the number of hours to 8 from 12 per day previously. The CPD units may be used for license renewal purposes or for accreditation of salespersons. You may click on this link to read my previous post on the requirements and procedure for accreditation of salespersons. I will be writing a separate post on license renewal requirements. 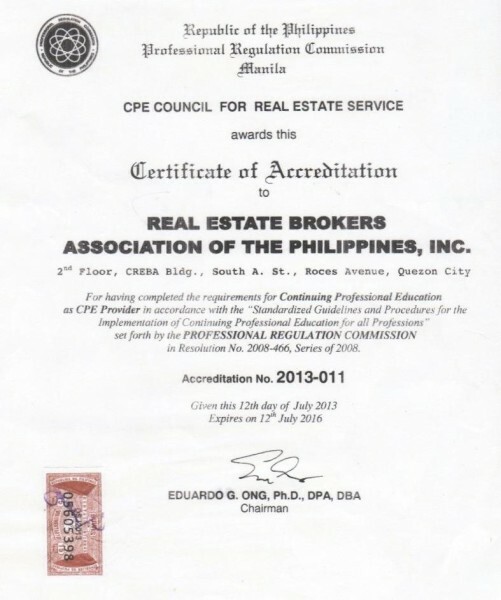 For your reference, here is a picture of REBAP’s Certificate of Accreditation awarded by the CPE Council for Real Estate Service. Why should real estate brokers learn about accounting? Accounting, of course, is a subject that everybody needs to know. Basic personal finance involves accounting. 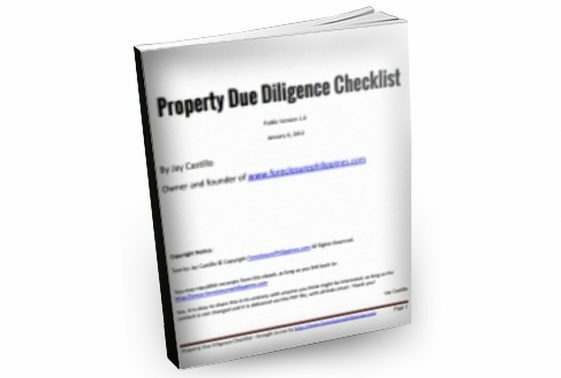 Real estate brokers, being self-employed professionals, likewise need to know accounting of their own transactions. 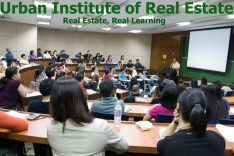 Real estate transactions involve millions of pesos of assets and liabilities of our clients so it is very important to know accounting and its impact on their financial standing. Many times, those without knowledge of accounting rely on accountants too much. 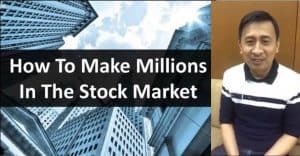 You may think that everything is in order but actually, your finances are in disarray and the accounting advice is wrong, or your accountant has been stealing from you. Of course, I don’t intend to freak you out – my point is that you should have at least a basic understanding of accounting for your own sake. If you are a real estate broker or a person who needs to ask a CPA about accounting, this live seminar is your chance to pick the brains of our speaker. A one-on-one consultation about accounting would surely cost more (and I’m not even sure if he will be entertaining one-on-one consultations outside of seminars). Please bring the deposit slip on the seminar day. It is just on the other side of Starmall Las Pinas (C.V. Starr is the road in between Tia Maria Bldg. and Starmall Las Pinas. C.V. Starr is the road going into Philamlife Village. You can easily see Starmall Las Pinas if you are along Alabang-Zapote Road.